If you’re currently having trouble swallowing, this is known as ‘dysphagia’ and it’s actually more common than most think. Normally, the issue will come from your throat or the esophagus (this takes food and liquid from the mouth to the stomach). Furthermore, swallowing disorders can happen to people of all ages but they’re more commonly found in older generations, people with nervous system issues, and babies. When it comes to the problems themselves, there are a number of different issues ranging from minor problems to serious health concerns. If it only happens once or twice, this normally suggests something small while medical attention should be sought if it happens frequently. As a natural process, our throat muscles will actually contract as we swallow and this helps the food to be pushed down into the stomach. If there’s a problem, food and liquid will struggle to pass through the esophagus and there are two main reasons as to why you could be experiencing this failure. Esophagitis – This is where the esophagus becomes inflamed after an infection or perhaps even a pill getting stuck. For some, they also experience some form of reaction to a substance in the air or food they consume. Gastroesophegeal Reflux Disease (GERD) – If stomach acid manages to back right up into the esophagus, ulcers can form and this can actually lead to scars; in turn, this narrows the esophagus. 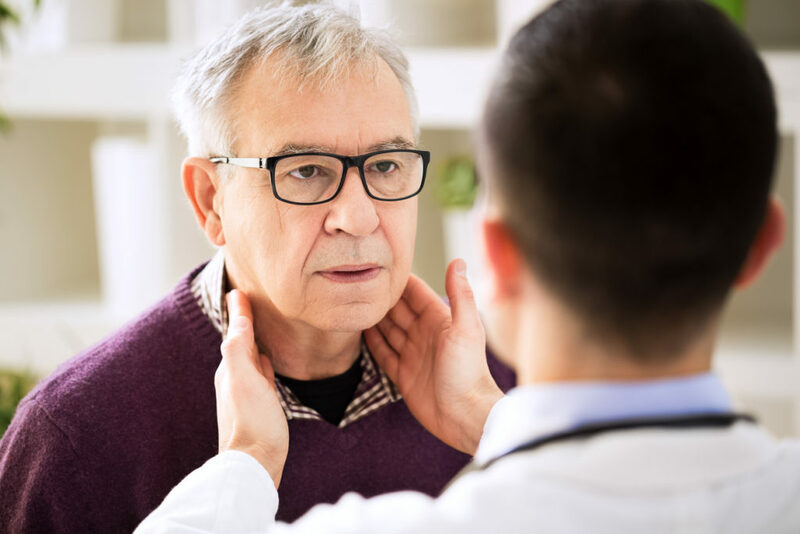 Other Issues – Although these are the two main issues, you could also have cancerous or benign tumors within the esophagus or small sacs that form on the walls of your throat (diverticula). Finally, lymph nodes can appear on the vertebrae and push into the esophagus from the outside. Secondly, the muscles and/or nerves might not be working correctly and this may come from brain injuries, stroke, orsome other health concerns. Nervous System – With muscular dystrophy, post-polio syndrome, Parkinson’s disease, and multiple sclerosis, these can affect the muscles and nerves. Esophageal Spasm – At random intervals, the muscles will squeeze together and this prevents food from reaching the stomach. Scleroderma – With the esophagus tissue, this can become hard as well as narrow. In some cases, it can also weaken the lower esophageal muscles which, in turn, causes a backup of stomach acid in the throat. Immune System – Finally, an issue in the immune system can cause weakness and swelling in the area. Since swallowing disorders greatly impact your everyday life, it’s important to seek treatment for them. Now we know the issues that exist, how do professionals treat these swallowing disorders so you can return to your normal self? Firstly, they’ll try to locate the problem using an x-ray and various other procedures they have. If necessary, they’ll use a small camera to see the extent of the damage or even a small pressure gauge to measure your ability to swallow. Once they’ve found the cause, they can get to work on treatment and there are many different solutions depending on the cause. Dilation – If your esophagus has narrowed, this treatment will see a small device expand the area; this may require several sessions. Diet – If your diet is causing the problem, your doctor will recommend changing the foods you eat to identify the problematic ingredient. Exercise – As strange as It sounds, you can actually complete swallowing exercises to strengthen the muscles and allow for better swallowing. Endoscopy – In some situations, a blockage might cause the problem and an endoscopy can be used to remove any objects. Medicines – If the issue is related to heartburn, GERD, or esophagitis, some prescription medicines might be able to prevent stomach acid from getting into the esophagus. With infections, antibiotic medicines will also help the problem. Surgery – Finally, and this will only be done if completely necessary, surgery can remove blockages or anything else affecting the lower esophageal muscle. There we have it, the causes and treatments for swallowing disorders. If you’ve experienced anything we’ve discussed today, we highly recommend talking to an expert as soon as possible because, left untreated, your condition will only get worse. In some rare cases, patients are left needing a feeding tube so contact an expert today and get yourself back to full fitness! This entry was posted by Social Media Team on September 27, 2017 at 11:00 am, and is filed under Head and Neck, Throat. Follow any responses to this post through RSS 2.0.You can leave a response or trackback from your own site.